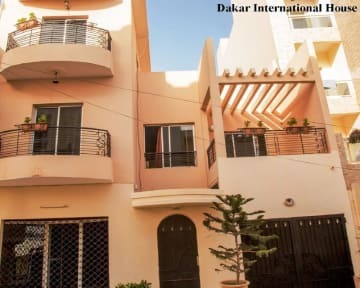 Dakar International House is a new created hostel offering rooms at good value for money corresponding perfectly to low budgets, a bridal suite, a room perfectly ordered for students; a group of travelers and students with limited budgets, a double and single room. Dakar International House is well-located in Dakar. 15 min by car from the main Airport of Dakar. To spend a night or more near Léopold-Sédar-Senghor, Dakar Interational House is the hostel you need. The property is surrounded by many shops and restaurants. Dakar International House offers comfortable private and shared rooms. There is a room with private bathroom. All rooms have toiletries and Wi-Fi access. Please advise your arrival time.